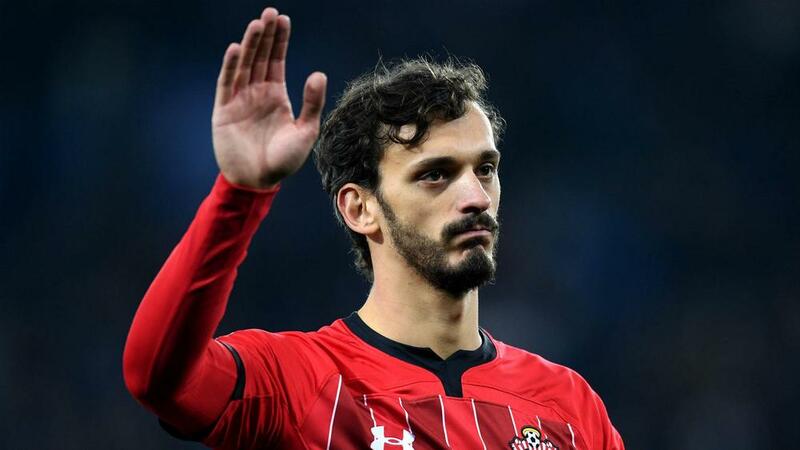 Manolo Gabbiadini has returned to his native Italy after the striker's former club Sampdoria agreed a permanent transfer with Premier League side Southampton. Italy international Gabbiadini heads back to the club he played for between 2013 and 2015 for a fee thought to be in the region of €12million, with reports suggesting he has signed a deal until 2023. Saints were said to have paid €17m to Napoli for Gabbiadini in January 2017 and he made a strong start to life in England. He scored six goals in his first four games for the club, who looked to have struck gold with the Italian. But he only netted another six in his next 56 matches under Claude Puel, Mark Hughes and Ralph Hasenhuttl. Gabbiadini re-joins Sampdoria seventh in the Serie A table, as it pushes for a Europa League spot, while he leaves Saints struggling in the Premier League's relegation zone.